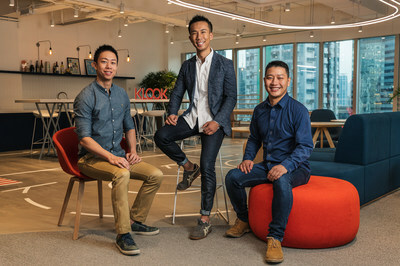 HONG KONG, April 9, 2019 /PRNewswire/ -- Klook, a world leading travel activities and services booking platform, today announced it has raised US$225M in Series D+ funding. This increases the company's total Series D funding round to US$425M. The SoftBank Vision Fund led the round with participation from existing investors, including Sequoia China, Matrix Partners, TCV, and OurCrowd. This represents the largest financing in the global travel activities and services industry. In just four years, Klook has become the most searched travel activities and services company on Google. In the last year, the Hong Kong-based company expanded its global footprint into Australia, Europe and the United States to deliver new, unique and exciting consumer experiences. Klook also entered into major global partnerships with Shangri-La Hotels and Resorts, Asia Pacific's leading luxury hotel group; and Rail Europe, a leading distributor of European rail products that represents more than 50 railroads throughout Europe. With the additional funding, Klook will scale its operations into new geographies and continue to expand in its existing Asian markets. For example, Japan is one of Klook's most important markets and is also the headquarters of SoftBank Group. The company plans to deepen its investments ahead of the 2020 Summer Olympics in Tokyo and will expand into additional Japanese cities to better serve both inbound and outbound visitors. "Our vision is to bring the world closer together by connecting the best of what a destination has to offer with travelers from all over the globe," said Ethan Lin, CEO and Co-Founder of Klook. "This latest investment is a true testament to the progress made by the Klook team in building the world's Number 1 Super App for all in-destination needs," added Eric Gnock Fah, COO and Co-Founder of Klook. "We believe Klook is a leader in taking a mobile-first approach to the travel activities and services industry," said Lydia Jett, Partner at SoftBank Investment Advisers. "The company has seen great success in scaling its business across different geographies and cultures, and we are excited to help them drive further innovation in the global travel industry." Founded in 2014, Klook is a world leading travel activities and services booking platform. Klook gives travelers a seamless way to discover and book popular attractions, tours, local transportation, best foods, and unique experiences around the world on its website and award-winning app (consecutive Best of Year awarded by Google Play and Apple App Store). With Klook's innovative technologies, travelers can book on-the-go and redeem the services by using QR codes or e-voucher. Each day, Klook empowers countless travelers to indulge in their wanderlust and spontaneity through over 100,000 offerings in more than 270 destinations. With a team of more than 1,000 across over 20 offices worldwide, Klook's services are available in nine languages, supporting 41 currencies. It has raised over US$520 million investment from world-renowned investors including Sequoia Capital, Softbank Vision Fund, Matrix Partners, Goldman Sachs, and TCV. Get inspired by Klook at www.klook.com, the company blog or @Klook.